As a Volkswagen owner, we think you’re a pretty savvy person–that’s why we offer all kinds of ways to keep you in the know, and the now. You can schedule your service with Quirk Volkswagen Manchester at any time online. We also offer free Wi-fi in our waiting lounge for all your work and social needs–plus complimentary local shuttle stops to help you get around even when your VW can’t. Come find out how Quirk works to save you money! Quirk VW NH takes pride in offering high quality sales, service and parts to our customers. 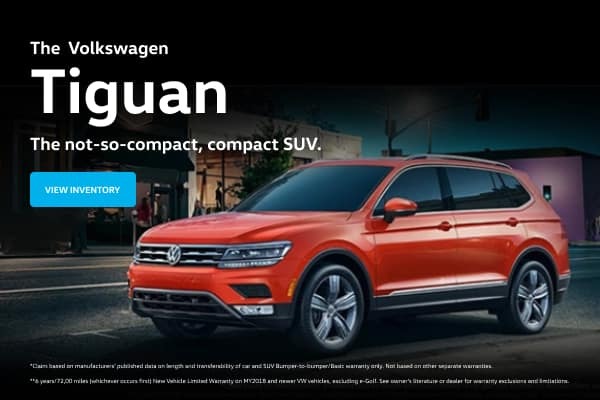 From the new Volkswagen Beetle to a used VW Jetta, we offer an extensive inventory of new and used Volkswagen vehicles at our Volkswagen dealership in Manchester. And forget about being treated like a number, because our expert sales team will share their knowledge of VW cars and SUVs with you so you can make an easy decision in a no-hassle, no-pressure environment. We pride ourselves on being your go-to Volkswagen dealer in New Hampshire, but we also offer much more than Volkswagen sales. We have trained VW service technicians here at our dealership to help keep your Volkswagen on the road as much as possible. Whether you need some major VW repairs, VW warranty work, or a regular VW service checkup, our Volkswagen service technicians are standing by to help you. If you’re in need of genuine Volkswagen OEM parts, we have those too! The Parts Department at our Volkswagen dealer in Manchester carries all of the most commonly requested parts, and if you’re looking for something that we don’t have on hand, we can order the part you need and get it to you quickly. Just come in to our Volkswagen dealer in New Hampshire, or fill out our online order form, and we’ll get you the part you need in no time. As your trusted Volkswagen dealer in Manchester, Quirk VW will work hard to ensure that your visit with us is always positive. Whether you’re looking for a used or new Volkswagen, service or just looking for the right parts, Quirk VW is here to serve you. We’re located at 1100 S. Willow St. in Manchester. Stop by today or call us at 603-206-2951 to see how Quirk works to save you money!